If you are in the market for vacation property, interested in learning more about how the whole process works or just want a ‘free’ vacation there are many reasons to go to timeshare presentations. However, understand before you walk in the door that you will be going to a high-pressure sales pitch that will seem like it won’t ever end until you have signed your name on the contract. Which is exactly the atmosphere that timeshare developers and salespeople want. They know that by giving you a gift – whether it’s a vacation, a cruise, a gift card or even cold cash – you will feel indebted to them. You will listen to their presentation, which gives the salespeople, many opportunities to pressure you into signing the contract. Your signature, whether you intend to honor it or not, is the goal. Until you have been to one of these timeshare presentations, you don’t know what you are in for. You will not be prepared for the sales tactics that will be used against you. And you will be coerced until you give in. The best time for this pitch to work is while you are already on vacation, which is why they offer you a three-day stay at the timeshare, for example. If you are already enjoying the amenities they offer, it is easier for them to convince you to continue the vacation. The salespeople are trying to convince you that they have discovered a treasure and they want to share it with you. They are doing you a favor. Unfortunately, one of the contracts you will sign stipulates that “no verbal representations are binding.” This is a fancy way of saying that if it isn’t written in black and white in the contract, it doesn’t have to be true. Many times the line they are feeding you is not true. Because of the wording in the contract, the salespeople can tell you anything and the only thing that is binding is the contract you sign. If you want the best advice, go on the vacation and enjoy it, attend the timeshare presentations, but don’t get manipulated into signing anything. The risks are not worth the dubious rewards they are offering. No matter how sweet the salespeople make the deal seem, the rewards will never match the price they want you to sign for. Once they have decided to purchase they are then presented with an adhesion contract that should in fact be reviewed by an attorney, instead they are coerced into signing this extensive document in multiple places along with initialing a multitude of clauses. This phase is called the “button up” whereby they usually send in a notary to assist you in executing the documents. They get you to sign off and initial any provision that could actually protect you while ultimately only protecting their own profits. They make sure there is a clause that states verbal representations made by any representatives are legal or binding. This clause gives the sales department the freedom to assert and misrepresent information as material fact with no recourse for the consumer. How does our government let this happen? The short answer is money, $8.5 BILLION a year in Federal, State and local taxes. The timeshare companies have lobbyists at the State and Federal level, who loses? the unsuspecting consumer, aka the timeshare victim. 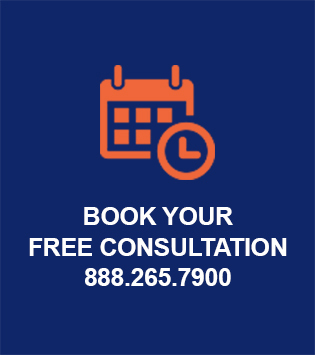 If you feel you were coerced, pressured, or misled into purchasing your timeshare or an issue you detrimentally relied on to make the purchase you found not to be true, book a free no obligation consultation and we will determine what your rights are and if there are remedies available for your situation. Think it might be possible to resell your timeshare? You might want to read more.